(HONOLULU) – The recent project aimed at eradicating invasive rats from the State of Hawai‘i’s Seabird Sanctuary on Lehua Island is the subject of a half-hour long TV documentary that chronicles the operation from beginning to end. Scheduled for broadcast on KFVE-TV (K5) on Saturday, Oct. 21st and Sunday, Oct. 22nd at 9:30 p.m. and 6:30 p.m. respectively, the program was produced by DLNR with support from the Lehua Island Restoration Steering Committee; the group of government agencies, non-profit and community organizations, and other supporters involved in the eradication of rats. 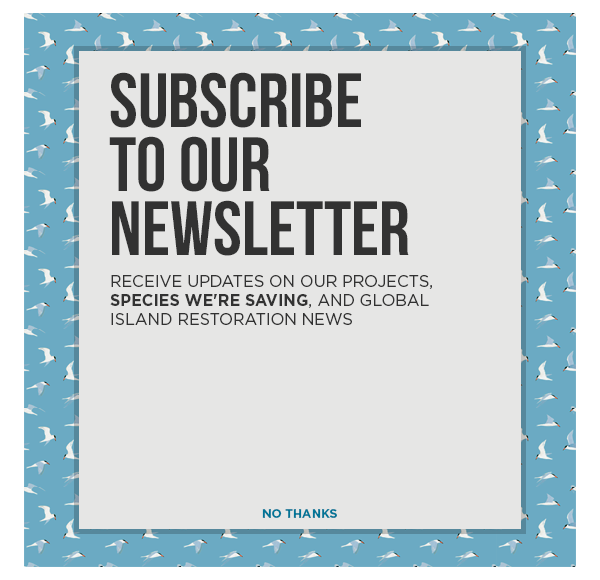 While no rats have been spotted by monitoring teams since after the first aerial application in August, Lehua Island will not be declared rat-free until a year after the last application. Rats are documented to be voracious predators of seabird eggs, chicks, and the seeds of native plants that seabirds rely on. Saturday, Oct. 21, 2017 at 9:30 p.m.
Sunday, Oct. 22, 2017 at 6:30 p.m.